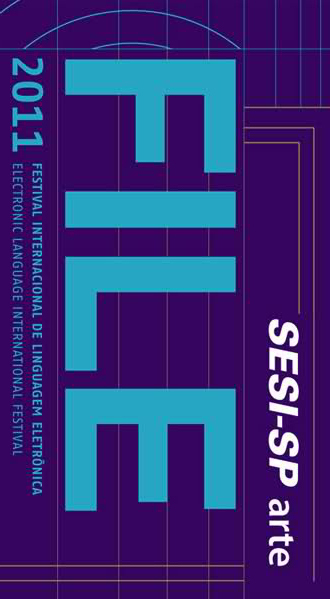 The second edition of FILE PAI (Paulista Avenue Interactive = Interactive Public Art), a digital and electronic public art project launched by FILE – Electronic Language International Festival in 2010, was held from July 19 to 28, 2011. FILE PAI 2011 occupied several spaces in Paulista Avenue and its surroundings, with a program that included different types of works achieved with electronic and digital tools. Among them, interactive installations, animations, games, and machinimas. The works were be presented in the following places: Cervantes Institute, Conjunto Nacional, Cultura Bookstore, Cultura Cine-Bookstore, São Paulo Art Museum – Masp, Alameda das Flores, Fiesp Space and Fnac, besides the Subway stations Vila Madalena, Consolação, Trianon-Masp and Brigadeiro. Beyond those works, FILE Symposium 2011, a space for discussion among artists, theoreticians and people interested in art and technology, happened at the São Paulo Cultural Center, together with the Workshops series. 17h00 Round Table: Mixed processes of creation and management of artistic, technological and cultural practices: An approach to the AVLAB Meetings and other shared and in constant physical/online transit management models.